Well, here we are, Duck Fans. We’ve made it to the quiet time. The games have been played, the recruits have been signed and there are only a few more loose ends to tie up before we can close the books on the first term of the Cristobal Era and stash them away to gather dust. It has been a wild few months of ups and downs, but by now the abnormal is starting to feel far too normal. In three years, we’ve “Lost the Day,” “Buckled Up“ and then “Unbuckled” again when the man in charge decided to “Do Something Else,” and now here we are eagerly waiting to see what the future holds again. 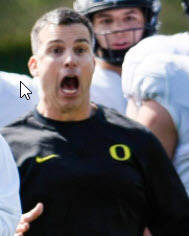 So let’s consider the past few months as Mario Cristobal’s first 300-level course in being the Head Football Coach at the University of Oregon. The tests are taken, the work is complete and there is only one thing left to do: it’s time to check our grades. So let’s take a look at how Coach Cristobal did this winter. 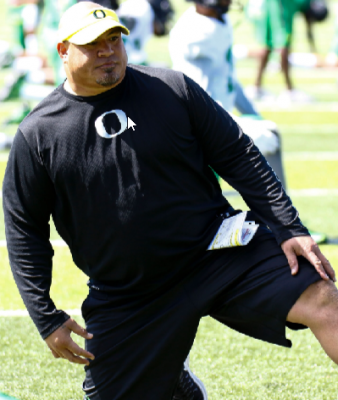 Joe Salave’a was a key hire for Cristobal. Following the departure of Willie Taggart in early December, there was a very real danger that we would lose the majority of our talented coaching staff and be stuck back at square one. Most of us went into apocalypse mode and expected to see all of our defensive improvement and recruiting momentum go up in smoke. It was like we had looked at the syllabus, seen a few weeks before the first midterm and thought we could take it easy. But then we were staring down a pop quiz on material that the doodles in our notebooks couldn’t teach us in time. Luckily, Coach Cristobal had been paying attention and he was able to retain the key pieces of the staff, minus two expected losses and the surprise later departure of Charles Clark. Well done, Coach. We might make it through this after all. The Las Vegas Bowl. Truthfully, there isn’t much I can say that hasn’t already been said in other articles on this site. We went into this test saying the right things and feeling like we had paid attention in class, but then our roommates decided to throw a party the night before and we fell flat on our faces. All I will say is that at least the team didn’t roll over and die when things were going poorly like we had seen too often in the past. It was bad but could have been worse, I guess. Only a few weeks removed from a coaching change and a miserable performance in the aforementioned bowl game, Cristobal was able to bounce back in a big way during the early signing period. Cristobal and company were able to keep many of the core commits in the fold and get them to sign early. We got some guys I believe will be real difference makers in the coming years, like Steve Stephens, Jevon Holland, Adrian Jackson and Tyler Shough, just to name a few. There is a lot to like about this early group, and we were also able to get a couple surprises/last minute additions because of the new vision for this team. The only knock to the grade was the complete absence of receivers. This was the gut check test and we were ready for it. The next test was a very important one. Coach Cristobal had multiple spots to fill on his staff. It is worth mentioning that Cristobal had a phenomenal track record of hiring talented coaches at FIU. His former staffs have included names like Scott Satterfield (HC at Appalachian State), Geoff Collins (HC at Temple) and Todd Orlando (DC at Texas). Cristobal took his time identifying talented coaches that would fit into the culture and identity of what he wanted to build at Oregon. The hiring of Donte Williams as cornerbacks coach was a major upgrade on the recruiting front; Cort Dennison is also considered a good recruiter and will be an upgrade over his predecessor on the field as well; and both Jim Mastro and Bobby Williams bring a wealth of experience to their respective positions and the coaching staff as a whole. 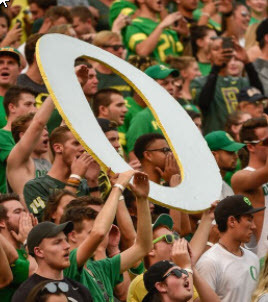 Cristobal has the “O” headed in the right direction. To me, the most important move Cristobal made (not to take anything away from the other coaches) was the hiring of Alex Mirabal as offensive line coach. This hire was important because, according to Justin Hopkins (ScoopDuck), Cristobal was considering coaching this group himself, which would have been a huge mistake. Hiring someone he trusts will help Cristobal balance his duties as head coach while maintaining his integral role in the offensive line. This hire also says a lot about Cristobal himself and his willingness to set aside his pride (something that worried me about our last coach with respect to play calling). Overall, I think Coach Cristobal knocked these hires out of the park and has given himself and Oregon Football every opportunity to succeed. This was a case in which we paid attention, put in the time, studied, visited office hours and crushed the test without breaking a sweat. The hiring of Aaron Feld, Shaud Williams and Matthew Fyle showed Mario Cristobal’s commitment to a championship philosophy and a championship program. 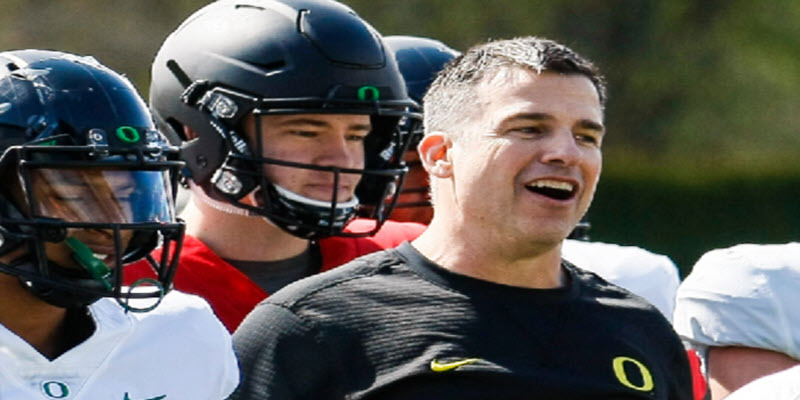 Cristobal is trying his best to replicate what he has seen work at other program, and his investment in the strength and conditioning program should pay major dividends. The entertainment value gained from following these guys on Twitter is just an added bonus. No college reference needed for this one—it was just a great move by our head coach. National Signing Day for 2018 was a bit of a letdown, I’ll be honest. A failure? Absolutely not. 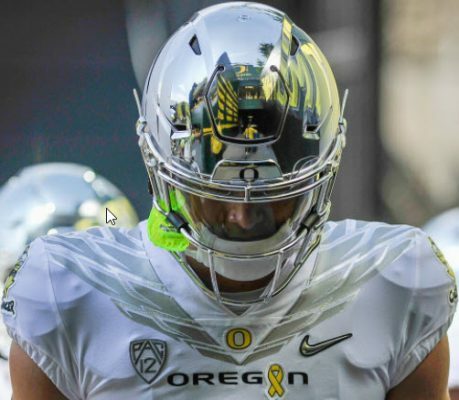 Oregon was able to add premium talent that could pay off in a big way in the coming seasons. Spencer Webb has sky high potential and was a big get at a position of need. Cristobal and company landed three wide receivers, two of whom were four-star caliber players we would have been beyond excited to get in years past. Justin Herbert will be a vital piece of next year’s team. The big addition (and only uncommitted player to sign) was Penei Sewell, who by himself will boost our grade above average. Sewell is the type of guy we almost never land and could be a difference maker in the years to come. I will also throw DJ Johnson into this group, even though he is a transfer. DJ is a huge get and is a premium talent at a position it never hurts to be loaded at. For those of us focused on the players Oregon missed out on in the 11th hour, I urge you to remember that we landed one heck of a recruiting haul this year. The early signing period took much of the shine off National Signing Day and put that much more focus on the final few guys we were battling for. I highly doubt we would have seen so much vocal disappointment from the fan base had it been like years past, where every player was officially announced on the same day. The misses hurt, and I feel like we still came a little short at wide receiver, but as a whole, we got better. This was the test we prepared for, but were a little too confident about, given past success. This led to us being caught off guard when the professor included material from the book that wasn’t covered in class. In the end, we didn’t finish quite like we had hoped, but we will have forgotten about it in a week or so when we’re back looking at the big picture.